Perfect for new mums, as an after-birth treat or for anyone who deserves a treat. 2 "Green Fibres" organic cotton cloths made from 100% organic cotton. 25 x 25cm. Perfect for cleansing the face and gently exfoliating skin whilst cleansing. Dries much quicker than a regular terry face cloth and is hence more hygienic. 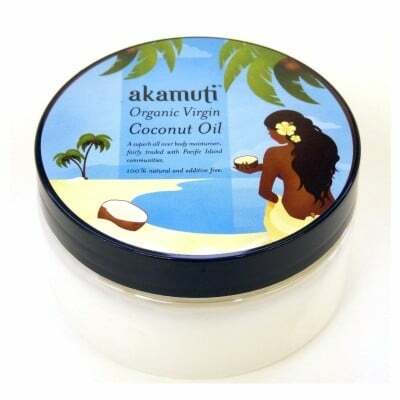 "Akamuti" organic virgin coconut oil 50g: a superb all over body moisturiser, fairly traded with Pacific Island Communities. Fantastic for the bump, post-birth, hair, hands, sore toddler cheeks and more. 2 bars of chocolate 35g Green & Black fairtrade & organic (milk + dark). a packet of easy-to-grow marigold seeds to plant and celebrate the birth. The flowers are edible, self-propagating and a brilliant companion plants in the veg bed. Our hamper is packed in a bespoke simple brown box on a nest of recycled shredded paper. Choose a plain one (perfect to personalise with a message on top or a drawing from the children) or from one of the 4 designs below.